Don’t you just love having something to snack on while watching your favourite series or during one of your movie nights at home? Potato chips are the popular choice for a crunchy snack, but they are really not healthy for you and you wouldn’t want to be snacking too much on them if you care about your body (and your waistline). For this reason I am very excited to present you another option that is crispy, salty, highly addictive, and guess what – really healthy! 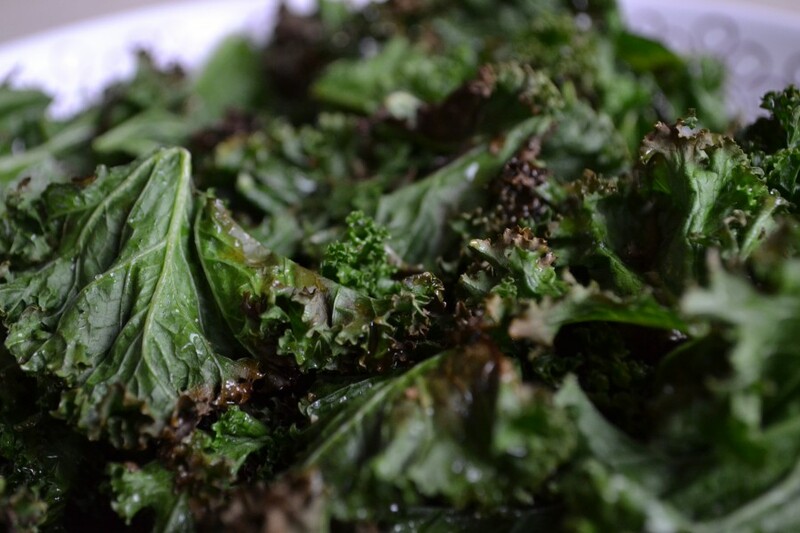 Kale is an excellent source of vitamin K, A and C and it has antioxidant and anti- inflammatory properties as well. 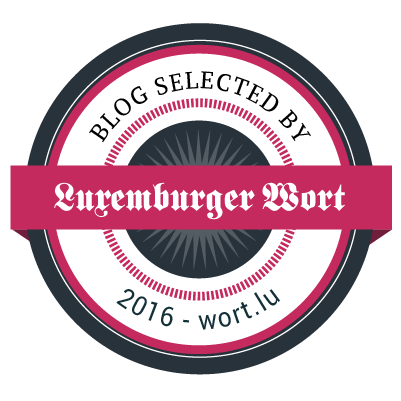 Click here to read more about the benefits of kale and where to find it in Luxembourg. Doesn’t this sound like a perfect combination? 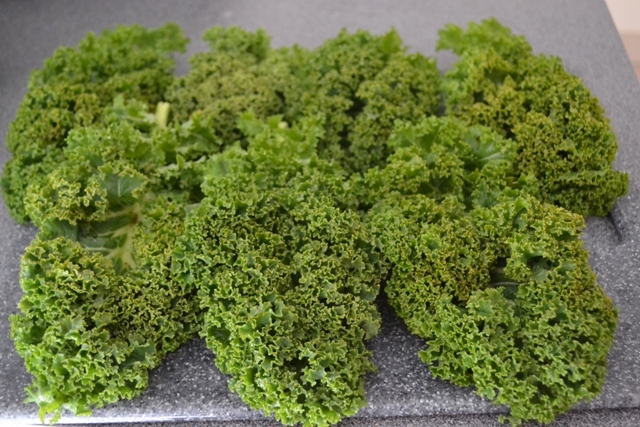 Kale chips are super easy to make, it takes literally 15 minutes to have them ready and you can curl up under your blanket and snack away guilt-free. use the fan setting of your oven and preheat it to 180 degrees. 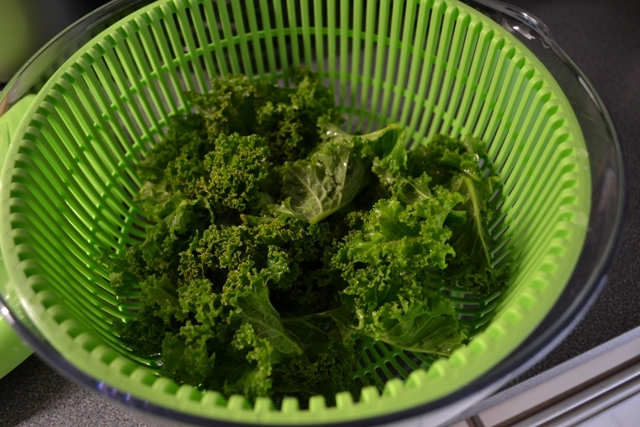 rinse the kale and dry it really well, using a salad spinner or paper towel. The drying part is really important so make sure they are as dry as possible! 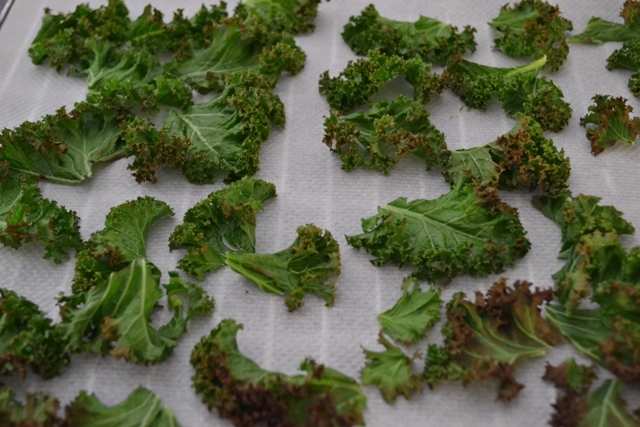 bake in the oven from 2 to 10 minutes, checking the kale chips constantly, as they can burn really quickly!